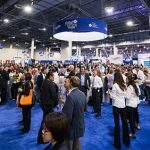 The third day of G2E and second day of expo floor kicked off today at the Sands Expo in Las Vegas, with thousands of attendees returning for what is traditionally the busiest and most exciting day of the show. 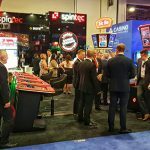 What separates the Wednesday of G2E from the other days is the tendency for exhibitors to host elaborate reveals and celebrity appearances and this is exactly what happened today. In all of the years CalvinAyre.com has been covering G2E, in addition to the years I have personally attended prior to CalvinAyre.com’s launch, I’ve never had as much fun as I had today at Bluberi’s stand. Bluberi, a slots game developer, has been working on the “I like Big Bucks” branded slot in partnership with American Rapper Sir Mix-a-lot, most well-known for his 1992 hit “Baby’s Got Back” (I like big butts and I cannot lie!) and his appearance was an absolute hit. Sir Mix-a-lot addressed the crowd with an explanation of all the work going on behind the scenes to make the slot game a success and had everyone laughing and smiling, with his electric personality and amazing sense of humor. He even welcomed a fan to come up on stage and try out the slot, while she danced her way to the machine. When asked how much work has gone into the production of the slot game, Sir Mix-a-lot was happy to explain. “A lot…and we’re not done. We’re still adding stuff!”, he told CalvinAyre.com. “The music stuff is very interesting because I had to record it to fit the game as opposed to just doing a song, so I had to move the lyrics around and give them acapellas, give them music by itself, scratching by itself, all of that stuff and it worked and like I said, this is just the start”, he said. “If the casinos do not put this slot on the floor, if they do not put this machine on the floor, they might mysteriously burn to the ground…I’ve seen it happen before…so I would suggest you get at least…EIGHT…and you’ll be safe!”, he joked. Bluberi CEO Mike Starzynski told CalvinAyre.com what a pleasure it is to work with Sir Mix-a-lot and said he makes the whole Bluberi team laugh when he participates on conference calls. Starzynski also pointed out how the star’s Twitter reach is far and wide, a channel Bluberi will be able to take advantage of in their marketing strategy. Starzynski was delighted to reveal the feedback on the slot has been amazing so far and said what makes it so special is the custom music which appeals to players who are looking to be entertained vs. simply winning money. All in all, Starzynski and team were amazed with today’s turnout and could not be happier with the crowd’s reaction to Sir Mix-a-lot’s appearance. Aristocrat, also a slot game developer and b2b supplier, had an enormous stand at G2E this year as usual, with the Mad Max car on display complete with characters from the movie and other paraphernalia. To celebrate the 10th anniversary of Aristocrat’s popular Buffalo brand, a giant buffalo cake was wheeled out into the crowd to Madonna music, with glow sticks, party favors and cupcakes for all. “[Buffalo is] named the number one brand in the gaming industry”, said Matt Wilson, Aristocrat’s Managing Director of the Americas. “You see lots of different licenses on the booth, Mad Max is a good example, which are very exciting but the Buffalo brand is one that’s created incredible value for operators across the globe, over 20 thousand units of play, so it’s a fan favorite, a player favorite and one that’s made a lot of money for operators. So we’re celebrating the 10th anniversary, it’s the 10th birthday today”, he said. “We had Freed’s bakery bake a huge buffalo cake so we wheeled it in and it was an amazing little ceremony there- the buffalo’s nose shot out some smoke and it was a pretty cool event”, he added. Just next door to Aristocrat, Scientific Games hosted a giant display with an “appointment only” policy, creating an “exclusivity” vibe for customers, media and potential partners. 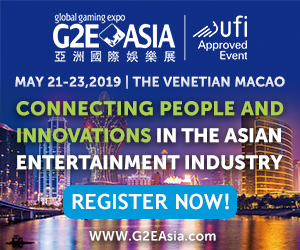 Upon entry, guests were treated to elaborate displays of Scientific Games’ latest slots, SG Digital’s latest sports betting offerings, a celeb appearance of actress Famke Janssen, star of the James Bond film GoldenEye and true VIP service throughout the booth. 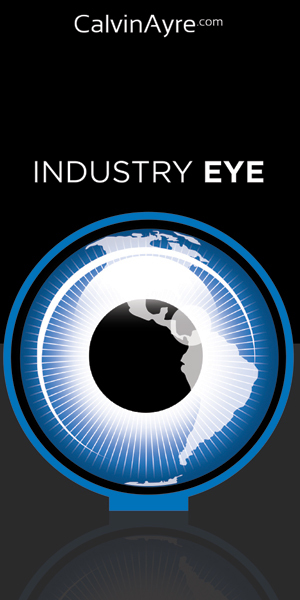 “Scientific games are one of the biggest B2B providers in the industry and in every sector in which we operate we want to be number one or number two and everything that we do is around that”, Keith O’Loughlin of Scientific Games told CalvinAyre.com. “I think the stand reflects the best showcase of the products that we’ve got for our customers. Our job can only be successful if we make our customers successful and bringing our customers on-stand to show them everything that we can do to grow their business, there’s no better place to do it, there’s no better way to do it than what you can see here”, he said. 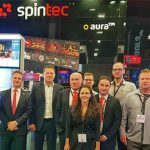 Throughout our time at G2E thus far, the presence of senior level professionals from the top companies in the gambling industry was apparent, including those who are keen in increasing their footprint in the regulated US online gambling market. 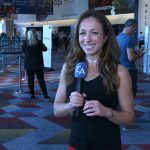 NetEnt CEO Therese Hillman made the trip from Stockholm to Las Vegas to meet her American customers face-to-face, a key mantra for NetEnt’s way of doing business. “NetEnt’s now been in the [US] market for four years and we have been waiting for more states than New Jersey and Delaware to open up and now Pennsylvania’s happening so I think the buzz around the third state that’s opening up is pretty exciting”, Hillman shared with CalvinAyre.com in an exclusive interview. 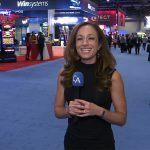 “But also we see the interest from offline becoming more online and I think that’s something we see here now at G2E, that lots of online trends are actually eating into the offline space as well, which is interesting. So we are excited about the opportunity and also you see the number of visitors here, its amazing, I think”, she added.